Mari founded IXMATI and enrolled in graduate school to expand her knowledge of her just-found passion—cross-cultural communication. She received a Master of Art degree in Intercultural Relations (MAIR) from the University of the Pacific after completing three research projects including a thesis. Graduate school research focused on the emerging bilingual, second-generation Latinos/Hispanics’ ethic identity, acculturation, and linguistic preferences. Her thesis titled, “Localizing Websites: A Comparative Study of Cultural and Linguistic Adaptation of Content and Design for the Latino/Hispanic and Mexican Markets” was published in 2013. After completing the master’s degree, she began consulting on Hispanic online marketing and teaching graduate and undergraduate courses on global marketing and social media. She now concentrates on conducting intercultural training to diverse teams and providing cross-cultural consulting and translation services. Peruvian born Martha Potts has been living in the United States since 1993. She studied Business Administration at the Universidad San Martin de Porres in Peru and was the Executive Secretary to the Presidents for Marubeni Corporation and Japan Oil Company in Peru and Venezuela. Martha designed a training curriculum, “Do’s and Don’ts of Living in America,” for foreigners coming to work and live in the US. She has worked for Chevron Corporation as a relocation consultant, Spanish tutor, interpreter and translator. She is a consultant with the City of Concord and coordinates its Welcome Packet program. Her time is spent managing sustainable community development programs, providing translation, training, supporting immigrants adapting to a new culture, and being with her husband and two children. Connie has degrees in English from UC Berkeley and the University of Colorado. She has taught English in colleges in Alabama and New York and at secondary schools in California and New York. She joined the technology industry as a technical writer/editor and was employed by several companies in New York and Connecticut. Eventually, she was transferred by CA Technologies (formerly Computer Associates) to its offices in the Bay Area where she remained until retiring. 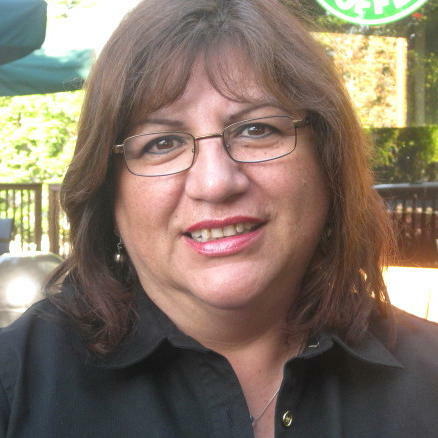 For 17 years, Connie has volunteered in adult education ESL programs in Oakland and Berkeley. Currently she is tutoring both adults and children in Palo Alto’s ESL program. She fully appreciates the communication challenges faced by ESL students who have come to the U.S. from all over the globe and has worked with parents and grandparents from Yemen, Bangladesh, Iran, China, Taiwan, Korea, Mexico, and Central and South America. Connie has two adult children and six grandchildren. Besides her family, Connie’s interests include reading, walking daily, and of course editing!